Hello to moms out there, today I am going to tell you about a product that I think will definitely ease your mind a little bit and ease your nighttime worries. So in this Angelcare AC417 review, I will highlight some of the features of this wireless baby monitor. Angelcare AC 417 is the best baby wireless monitor in the market to track the movement of your baby in your absence. Now, this product has a really great 4.3” touchscreen monitor that can track audio and video progress of your baby. The touchscreen on this device is really responsive and precise. Furthermore, what’s so unique about this monitor and the whole system is that it includes the only wireless sensor pad available in the market. How Angelcare AC 417 works? All you need to do is to put the sensor pad beneath the mattress and it will literally alert you if the baby does not move for 20 seconds. It’s really that simple because it is completely Wireless technology. You don’t need to worry about the cords setup anymore. Angelcare AC417 uses Wi-Fi technology to connect the monitor to the sensor. You can connect the unit right out of the box as it pairs immediately. The touchscreen monitor has colour changing room temperature display. So if it’s too hot inside the room, the display screen will turn red in colour otherwise blue if it’s too cold. All you need is to set the desired room temperature in the settings menu and you are done. The video camera unit that comes in the box can be wall mounted. Now the video camera does come with the power cord. It has the ability to zoom in and out and can be controlled from the touchscreen monitor. The camera quality is really great and includes night vision and a speaker to talk with your baby. So, if you are away from the baby then just grab the monitor and talk. 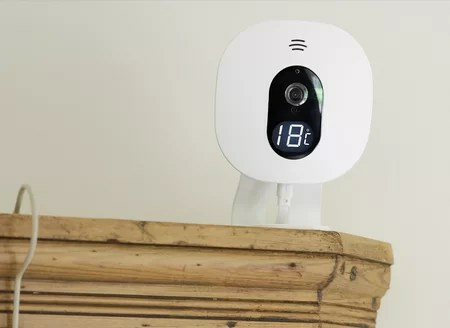 Moreover, if you got twins, then Angelcare AC417 allows you to connect more than one camera with the monitor. It allows you to connect 4 cameras at a time which is something great. You can adjust the sensitivity of the wireless sensor pad which is a really nice feature. You just need to tap in on the sensitivity option on the monitor and adjust it to the way you want it. For a newborn baby, you need to keep it at the highest sensitivity. However, for the toddlers of age 1 to 3, you might go for a different setting. Again, it will send an alarm after 20 seconds of no movement. You are able to turn it off from the parent unit. Finally, I really loved this unit because I was pretty overwhelmed before I encountered it. It works seamlessly and gives you a variety of monitoring options on a single platform. 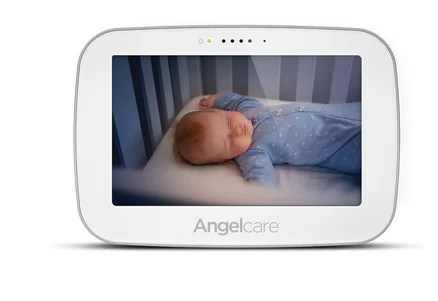 So, if you are in the market for a baby monitor then I definitely recommend you Angelcare AC417 to get rid of your worries. So this was Angelcare AC417 review from my side. If you got any question in your mind, then do let me know in the comment section and I will love to answer them.